professionals with the latest information on sustainable landscaping and low impact development best practices. Highlights include an Eco-Marketplace filled with conference sponsors from around the Bay region, networking opportunities, and a book sale. See the articles below for additional details on speakers, sponsors, and free giveaways! Register here. Join friends and make new connections at the Welcome Dinner on the evening of November 2, featuring Gem Bingol from the Piedmont Environmental Council, and presentation of the 3rd Marcy Damon Conservation Landscaping Award! This year's award recipient is Adele Ashkar who has been a dedicated advocate for the principles and practice of conservation landscaping through her many years directing the Landscape Design program at George Washington University. Her dedication to sustainable landscapes and conservation landscaping continues through her efforts in support of the Chesapeake Bay Landscape Professional Certification pilot program and continued efforts in Landscape Design at the University. Many stormwater practices rely, at least in part, on infiltration of water into the surrounding soil. This usually requires some type of up-front evaluation and testing to ascertain whether soil infiltration or percolation rates are adequate to handle the water. This presentation will review and compare some of the infiltration testing methods used in the Chesapeake Bay Watershed and other regions, and suggest a risk-based approach for balancing costs and risks of failure. Join Mt. Cuba Center’s George Coombs as he details some of the key lessons learned from their trials on Heuchera, Coreopsis, Baptisia and Monarda. George will also highlight some of the best native plants for our region, including several species and cultivars you’ve probably never heard of. Have you ever had difficulty talking with clients about sustainable landscaping practices, or wondered how to get that conversation started? For over ten years, OpinionWorks has been studying attitudes about environmental stewardship, and the likelihood that homeowners throughout the Chesapeake Bay watershed will adopt more sustainable yard care practices. This interactive presentation will share their findings and offer tools to help professionals discuss and encourage homeowners to adopt more sustainable yard care practices. 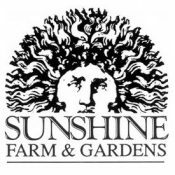 Sunshine Farms has graciously offered to supply a free native plant to each attendee of the Turning a New Leaf Conference. In 2015, ferns were taken home by all. This year, Allium tricoccum, or Ramps will be available! A member of the "onion" family, they are actually native wild leeks and are very easy to grow in full shade. Plant them and save the seeds every year, replant them and soon you'll have an impressive colony that you can start harvesting for use on pizza, salads, and in stir fries. Thank you Sunshine Farms! Do you need CEUs? The Turning a New Leaf Conference is the place for you. Over 12 organizations have already confirmed that they will provide CEUs for members that attend. View our Bronze and Green sponsors here.